A growing number of organisations are turning to predictive analytics to enhance their competitive edge and increase their efficiency. With interactive software becoming more prevalent and easier to use, predictive analytics is no longer just the expertise of mathematicians and statisticians. 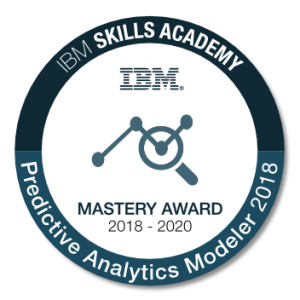 The Predictive Analytics Modeler course prepares learners to learn the essential analytics models to collect and analyse data efficiently. This will require skills in predictive analytics models such as data mining, data collection and integration, nodes, and statistical analysis. The Predictive Analytics Modeler will use tools for market research and data mining in order to predict problems and improve outcomes.